Plains Zebra or Burchell’s Zebra as the common name, the scientific name Equus Burcheli in the Equidae family with the Perissodactula order. Normal size: Length head/body: 7.2 -8.2 feet (2.2-2.5 m); tail Length: 18.5 – 22 in (47-56cm); height at shoulder upto 43-57 in (110-145 cm) weighing 385-710 lb (175-322 kg). 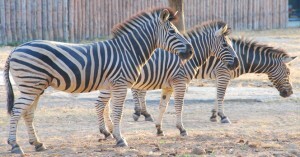 Key features are Deep-bodied, short legged zebra; thick, erect mane; black stripes broader than in other species, especially on rump, and do not always extend onto belly and legs;stipes sometimes interspersed with pale brown lines. Common habits: Social: lives in non territorial, single –male harems or bachelor groups; active day and night whose breeding is single young born after gestation period of 360-396 days. Weaned at 7-11 months; females sexually mature at 16-22 months, males from 4 years. May live up to 40 years in captivity, usually many fewer in the wild with typical horse calls, snorts, gasps, squeals. Diet is mostly grass, some shrubs and flowering plants, shoots, twigs and leaves of trees. 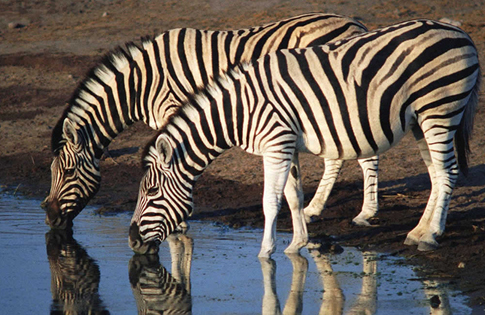 Zebras normally exist in Southern and eastern Africa outside forested and developed land. Population: 7, 50,000; IUCN Data deficient declining protected in several national parks. Aw, this was a very nice post. In idea I would like to put in writing like this moreover – taking time and actual effort to make an excellent article… however what can I say… I procrastinate alot and under no circumstances appear to get something done. I just came across your blog and must tell you it’s impressive. I significantly like and agree with this approach to writing: The truth is that any writing is just one particular person’s very skewed model of the story. Not solely do readers have to take that to coronary heart, however as writers, we might do ourselves a favor by embracing that more totally and openly. The entire explanations you made, the easy web site navigation, the friendships you make it easier to instill – it’s everything astounding, and it’s really facilitating our son in addition to us understand the subject matter is amusing, which is certainly particularly vital. Thank you for the whole thing! Hey! This is my first comment here so I just wanted to give a quick shout out and say I truly enjoy reading through your posts. Can you recommend any other blogs/websites/forums that cover the same topics? Thank you! Fantastic wordpress web site right here.. It is tough to uncover high quality composing like yours as of late. Thanks for sharing excellent informations. Your web-site is very cool. I’m impressed by the details that you’ve on this blog. It reveals how nicely you understand this subject. Bookmarked this website page, will come back for more articles. You, my pal, ROCK! I found simply the info I already searched everywhere and just couldn’t come across. What a great website. Resources like the 1 you mentioned here is going to be quite beneficial to me! I will post a link to this page on my blog. I am sure my visitors will uncover that very useful. awesome publish! excellent instruction, will take on board! I’ve got to say that that overall Im really impressed with this particular web site.You can easily realize that you’re interested in your creating. If only I had your writing ability I anticipate more updates coming back. Took me time to read all the comments, but I seriously enjoyed the post. It proved to be Incredibly beneficial to me and I’m certain to all the commenters here! Its constantly nice after you can not only be informed, but also entertained! Im confident you had enjoyable writing this write-up. actually this is not what i needed when i searched on google which routed me here.but actually i needed more information on this topic for my niece as she had asked. Am going through certain trouble surfing yuor web blog from android cellular browser?Isn’t it mobile supported. Now I’m like, well duh! Truly tkhnaful for your help. Thanks for your feedback. I am working on the same. Thanks for this. My daughter (animal planet lover and wanna be vet when she grows up) is going to love it. Thanx with the work, sustain the nice perform Wonderful function, I’m likely to commence a tiny Website Engine training course operate employing your website I am hoping you get pleasure from running a blog with all the common BlogEngine.web.Thethoughts you express are genuinely great. Desire you are going to proper some a lot more posts. you are in point of fact a good webmaster. The website loading velocity is amazing. It seems that you’re doing any unique trick. Also, The contents are masterwork. you have done a wonderful job on this topic!